TMC has published an updated version of its concise guide on business mileage rates with latest advice on reimbursing fleet drivers of electric and plug-in hybrid cars. The guise not only covers reimbursing drivers of wholly electric vehicles using the new Advisory Electric Rate (AER) announced by HMRC in September but also includes advice on fairly reimbursing drivers for plug-in hybrid use in the continued absence of official AFRs for such vehicles. It follows the publication last month of TMC’s real-world mpg data that revealed many PHEVs actually cost more in fuel pence-per-mile than typical diesel or petrol company cars due to drivers not charging them. Paul Hollick, managing director of TMC, said: ”While the Advisory Electric Rate (AER) for electric vehicles satisfied calls for a simple reimbursement rate for company car and cash allowance drivers of pure EVs, the extreme variability of PHEVs’ fuel consumption sets them apart from both electric and combustion vehicles. ”Employers have the option of applying the appropriate AFR rates for petrol or diesel to PHEVs. 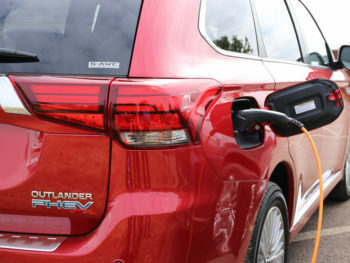 But with PHEVs’ fuel use varying by up to 300 mpg depending on the drivers’ journeys and charging practice, reimbursing for PHEV fuel at a flat rate will rarely be realistic or fair. ”There are alternatives to advisory fuel and electric rates, of course. With every type of drivetrain there is the option to reimburse fuel at actual cost (calculated from mileage and fuel purchase data). Or employers can set their own fuel rates, provided they are no higher than the relevant AFR, or can be substantiated if they are. TMC’s guide also contains advice on settling claims for business mileage incurred by private plug-in owners, describing how fleets can calculate the correct adjustments to AMAPs. it also covers deductions for private use for fuel card users. To download the TMC guide, click here.